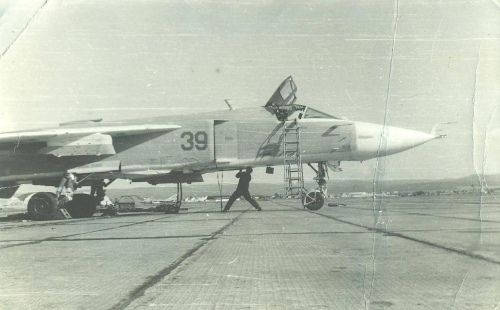 The 733rd regiment was the third regiment that flew with Su-24 Fencer-A and the first regiment in Asia to receive the SU-24 tactical bomber type. 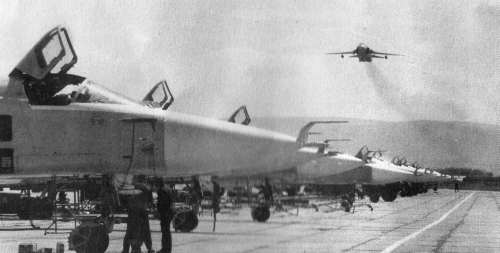 The three squadrons of IL-28 Beagle was replaced by two squadrons of modern Su-24 Fencer-A in 1975. They received the first eight Fencer-A bomber from the 63rd Tactical Bomber Air Regiment starting from May 1975. 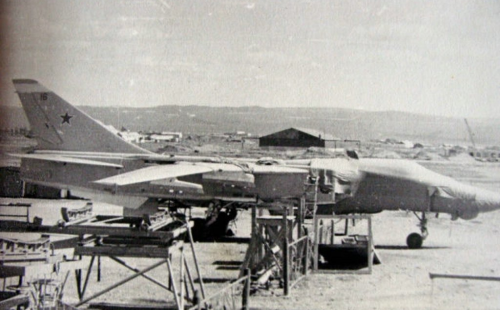 Among them the 34 and 35 was a pre-production aircraft. For technical reasons they only flew a little. The 35 was previously overloaded with massive weaponry, and it also had structural flaws. The 67 had fuel leakage, if the landing gear was pulled up. They could not fixt his problem at the regiment. 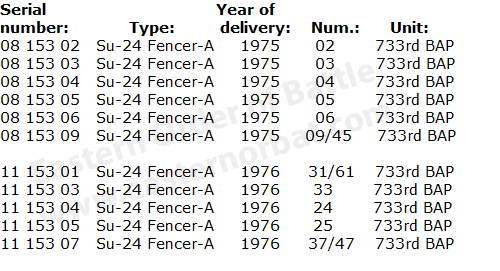 Then they received eleven new Fencer-A between 1975 and 1976 from the factory. They lost four planes between 1976 and 1981. These were replaced by two aircraft in 1982. Both arrived from the Voronezh trainer squadron. 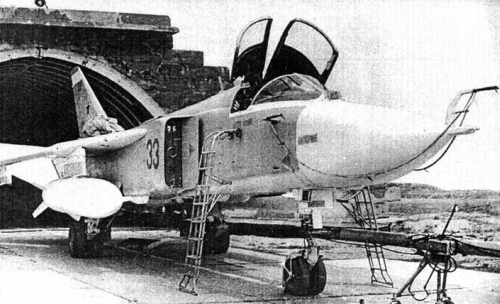 - In the winter of 1976 one Su-24 was lost in a fire on the ground. 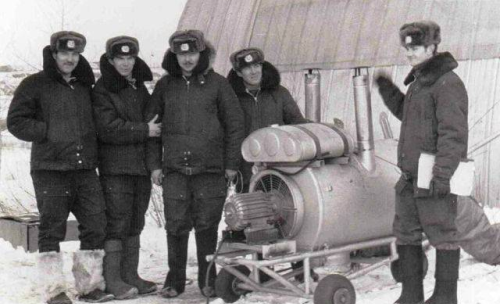 The water froze in the extreme cold, they could not extinguish the fire. - In 1978 during a flight both engines shut down. - In 1981 the engines stopped during take-off. The first squadron of the regiment was disbanded. 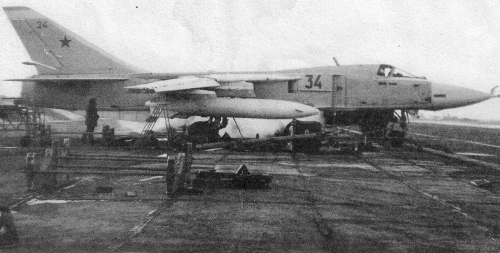 They stored the old IL-28 Beagle at the terrirory on the first squadron. Some of them were flown until 1983.